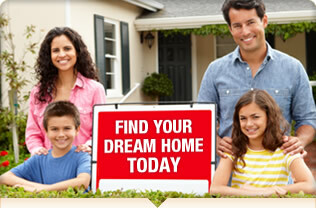 Find homes up to 60% below market value! Over 1 Million Properties Available. Customer Service 24/7, ready to answer your questions. Home flipping can be extremely profitable. The idea behind flipping houses is to buy low, fix it up and sell for more that you paid. To make this a success, you need to know where to look and what to look for. How can you find a house to flip? What types of homes make good deals? New listings on the local Multiple Listing Service (MLS). These properties will require you to go through a real estate agent. Tax Auctions/Sheriff Sales are good places to pick up cheap houses. Make sure you do your research before bidding as auctions do not always guarantee a clean title. Additionally, many states have a lengthy redemption period which will slow down your ability to resale. Drive around and look for abandoned properties, vacant and run down rentals or other unsightly and unmaintained properties. The state of the property indicates a disinterest by the owner. You can then go to the county records to get contact information. Online databases that contain pre-foreclosures, foreclosed homes, REO, short sales and auction properties are excellent sources since it puts all the data in one spot. Avoid free sites since their data tends to be out of date and unverified. What are the Best Properties to Flip? If you want to flip houses, it's important to choose the right properties to invest in. Not all properties will make a flip deal. In fact, some "obvious" properties could make you lose money rather than make you money. A good flip starts with finding a distressed sale or that has the potential to move up to a new market value if remodeled, one that you can state with confidence: It will be really profitable to flip this house! Below Market Value "As Is"
This is known as a distressed sale. The owner needs to sell the property right now - even if they must take a loss. The home does not need to be in poor shape or even need any repairs. Rather the discounting is created by a severe change in the owner’s life. The amount of discounting depends a on the amount of equity the owner has in the property, their personal financial situation and the urgency of the sale. Purchasing a distressed property can result in a very quick resale though the profit margin is usually smaller. These properties are going to need repairs or remodeling to bring them up to the market value for the size and style of property. Heavily discounted properties can need tens of thousands of dollars of repairs – so weigh your starting cost against the cost to repair. Some properties are sold very cheap by banks simply because they want to cut their losses. These cheap homes can reap very high returns. Finding a cheap property to flip and resell can be as simple as locating a new listing in an online foreclosure database or it can take time and perseverance by tracking down the out-of-state owner of an abandoned property. Both can create an ideal starting property in which the investor can turn around and flip for a profit.